The American Federation of Teachers is a union of professionals that champions fairness, democracy, economic opportunity, high-quality public education, healthcare, and public services for our students, their families and our communities. We are committed to advancing these principles through community engagement, organizing, collective bargaining and political activism, and especially through the work our members do. Close Up programs help students develop the skills, knowledge, and attitudes necessary to become active and involved in their democracy. 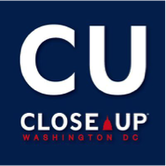 Since our inception in 1971, over 825,000 students and teachers have experienced government in action on our various Close Up programs in Washington, DC. Generation Citizen (GC) works to ensure that every student in the United States receives an effective action civics education, which provides them with the knowledge and skills necessary to participate in our democracy as active citizens. GC's current action civics hubs include the Bay Area, Camden, NJ, Central Texas, Massachusetts, New York City, Oklahoma, Rhode Island, and San Diego, CA. Generation Citizen inspires civic participation through a proven state standards-aligned action civics class that gives students the opportunity to experience real-world democracy. CIRCLE, The Center for Information and Research on Civic Learning & Engagement, focuses on young people in the United States, especially those who are marginalized or disadvantaged in political life. CIRCLE’s scholarly research informs policy and practice for healthier youth development and a better democracy. CIRCLE is based at the Jonathan M. Tisch College of Civic Life at Tufts University. iCivics is dedicated to reinvigorating civic learning through interactive and engaging learning resources. Founded and led by Justice Sandra Day O’Connor, iCivics provides students with the tools they need for active participation and democratic action, and teachers with the materials and support to achieve this. The National Association for Media Literacy Education is a national organization dedicated to media literacy as a basic life skill for the 21st century. The NAMLE vision is to help individuals of all ages develop the habits of inquiry and skills of expression that they need to be critical thinkers, effective communicators, and active citizens in today’s world. PBS NewsHour Extra provides free classroom resources for teachers and students. Lesson plans, class activities and daily news stories engage junior high and high school students to learn about national and world events while strengthening critical and analytical thinking. 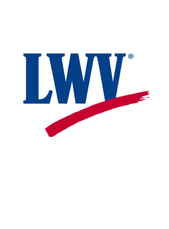 The Ronald Reagan Presidential Foundation and Institute is a non-partisan, nonprofit organization that runs education programs dedicated to cultivating the next generation of citizen-leaders. Each year we work with thousands of teachers, and tens of thousands of students from across the country to help foster engaged and informed citizens. Mikva Challenge ​is a non-partisan, not for profit founded on the premise that youth voice and participation matter, and that our civic and political life will be stronger when youth participate and help shape their own destinies. Mikva Challenge develops youth to be empowered, informed, and active citizens who will promote a just and equitable society. ​Facing History and Ourselves works to engage students of diverse backgrounds in an examination of racism, prejudice, and antisemitism in order to promote the development of a more humane and informed citizenry. By studying the historical development of the Holocaust and other examples of genocide, students make the essential connection between history and the moral choices they confront in their own lives.